About Company: U.P. 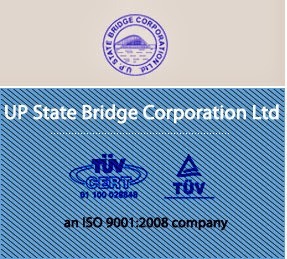 State Bridge Corporation Ltd. started functioning on Ist March 1973 as a company under U.P. State Government to accelerate the activities of design and construction of Bridges in the state..
How to Apply: Candidates Should In Prescribed Format along with all required documents like Educational Documents, caste and experience certificates are attested and should be sent to The General Manager, U. P. State Bridge Corporation,Setu Bhawan 16, Madan Mohan Malviya Marg, Lucknow- 226001.